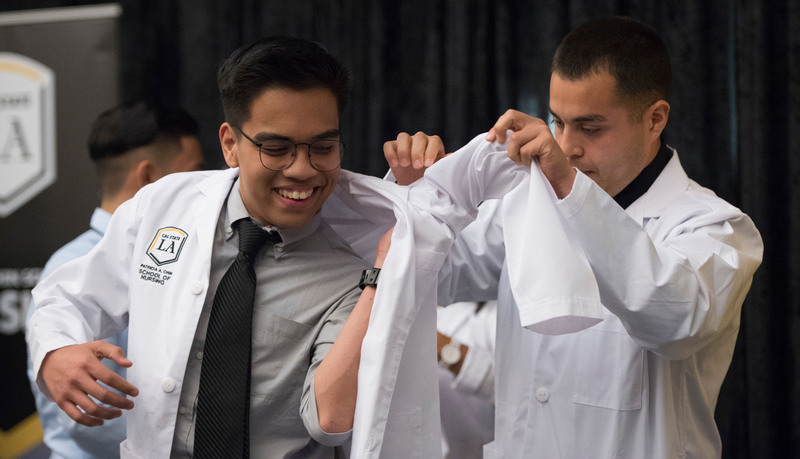 The Patricia A. Chin School of Nursing welcomed the 2018 class of incoming nursing students Wednesday night, at its third annual White Coat Ceremony. 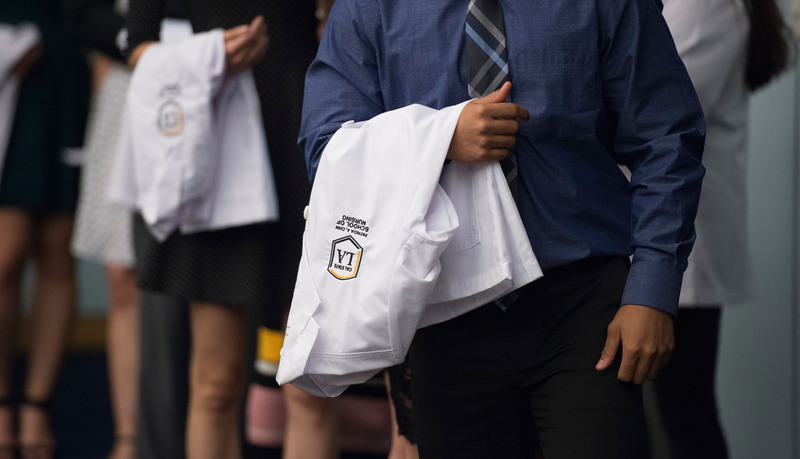 Sixty-three bachelor’s of nursing and 29 accelerated nursing students donned their white coats for the first time, symbolically marking the beginning of their nursing careers. “You are no longer just a student at Cal State Los Angeles. 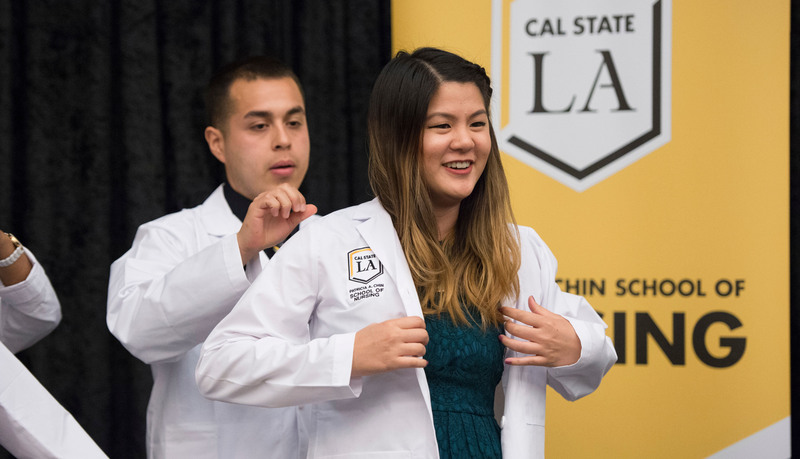 Now you are a nursing student at Cal State Los Angeles,” said Patricia A. Chin to students in her keynote address. 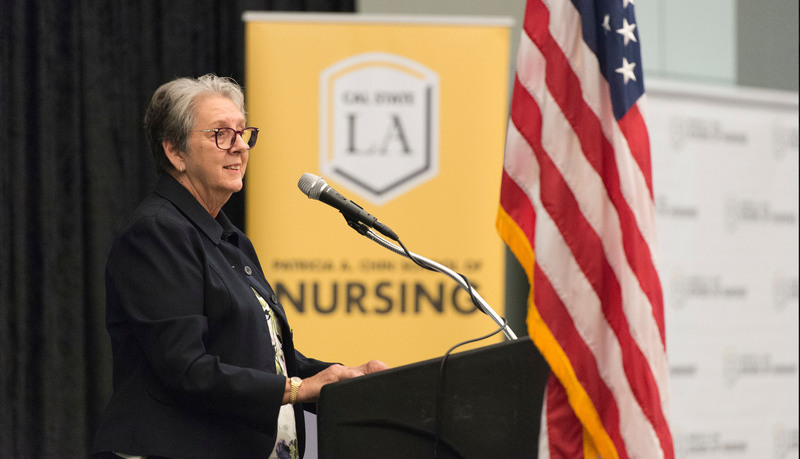 The event was held in the Golden Eagle Ballroom and featured Cal State LA President William A. Covino, Gail Washington, director for the nursing school, and Patricia A. Chin, who holds a Doctor of Nursing Science. 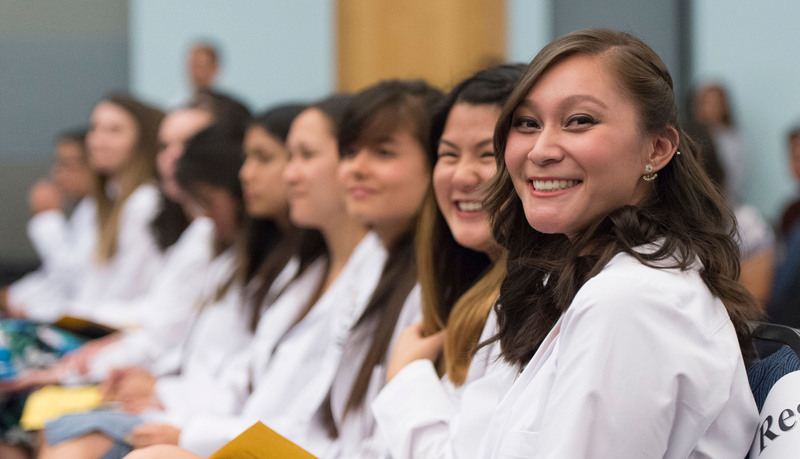 Per tradition, current nursing students helped the incoming class put on their white coats for the first time. Students then recited an induction oath affirming their dedication to the profession and their patients. In her speech, Patricia A. Chin shared stories from her 50 years in the nursing profession. She emphasized a nurse’s central role in the community and encouraged students to use compassion and empathy in their future careers. “When I ask you 'What kind of nurse are you?' I won't be asking if you are a med-surg nurse, pediatric nurse or a psych nurse. I will be asking you if you are nurse who makes a difference in people’s lives,” Patricia A. Chin said.